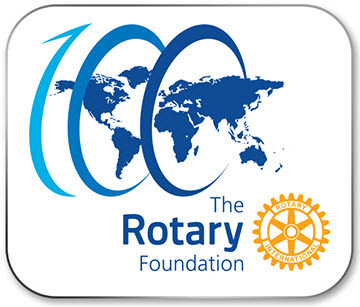 In the past five years our District 5040 has received back from The Rotary Foundation over US$300,000, based on our share of what we have contributed in recent years. That's an average of about US$60,000 per year. This latest year we have received almost US$67,000, the highest amount in that five-year period. Our District 5040 clubs have been busy “doing good in our communities” with recent projects in education, providing scholarships and bursary awards for needy students in the community through the Vancouver Sunrise club, in health, such as providing pre-natal care to young mothers in a local First Nation community through the Prince George Club and providing Automatic External Defibrillator (AED) in strategic locations to respond to cardiac emergencies through the Bowen Island club. Our clubs are taking these initiatives, but all our clubs in the District can share the sense of doing good in this province. There are also the community development projects, such as building a children’s nature park to promote physical fitness and health in Pemberton, two washers and dryers for a women’s shelter in Prince George, equipment for the West Vancouver Marine Rescue Society through the West Vancouver Sunrise club, an outdoor fitness equipment for the central municipal park through Powell River Sunrise, breakfasts in local schools for under privileged children in Williams Lake and replacing an aging water park for kids with a new, safer, water-conserving one in the Ladner community of Delta. These are just examples of the 28 current, Foundation-supported projects on the go right now. We can take great pride in the huge success of the Million Dollar Dinner in January, in conjunction with District 5050, with proceeds of over $3 million going to The Rotary Foundation. Our District was recently recognized as a top contributor to PolioPlus. So our Rotary District is changing lives of people all over the world and in our own backyards. Please keep giving to the Foundation for many reasons, let’s rid the world of polio once and for all, and let’s keep applying for those District grants to change the lives of people living around us in our own communities and in other countries.